Michael Hendricks has a very particular set of skills, skills he has learned over a short career as a covert ops agent stationed in Afghanistan, skills that make him a nightmare for other hired killers. If you pay him now, that will be the end of it. You will survive an attempt on your life. But if you don’t, he will ignore you, they will find you, and they will kill you. Up to now, Hendricks has made himself a very successful career knocking off other hit men. Unfortunately for Hendricks, a large crime syndicate dubbed The Council has taken it upon itself to seek out an equally skilled killer, Engelmann, to wipe him off the map. Adding fuel to the fire is FBI Special Agent Charlie Thompson. Leaving nothing behind; no clues, no method of identification, Hendricks has become nothing more than a ghost to her for years. The Killing Kind sets a collision course for all three individuals. A collision course that leads to a war. A war in which all three will do anything to be the last one standing. Chris Holm’s The Killing Kind moves like a tank with a Ferrari engine; absolutely brutal and destructive scenes infused with action that flows effortlessly. With so many cooks in the kitchen, you rarely have time to catch your breath before Holm moves the focus to another scene or character, keeping things fresh and intriguing. 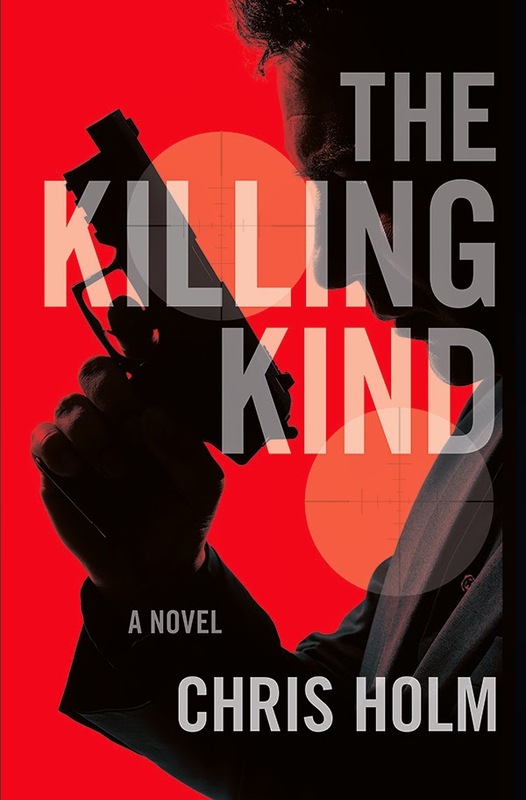 The Killing Kind had been one of my most anticipated reads of 2015 and I’m happy to say that my expectations were met, and then some. Grab this when it hits shelves in September. June 29, 2015 in Chris F. Holm, Fiction.